Yoko Ono's films occupy a central place in the history of American experimental cinema in the decade of the 1960s, a time of special creative effervescence, a time of formal, industrial, artistic and political challenges, and an era in which cinema began to be seen, without complexes, by many artists as a mean of expression and experimentation at the same level as that of performance, plastic arts or sound art. In the case of Yoko Ono, known as the artist and companion of former Beatle John Lennon, her films are born from the same place from which her other artistic (or political) manifestations are born - music, performance, sculpture - from the need to challenge the mechanisms of perception, of the investigation into the mechanisms of image registration, making the viewer aware of the manipulation process, of the cinematographic (or artistic) apparatus, and of the desire to go beyond listening or passive projection: some of their concerts, for example, were held in the dark, in the same way that some of their films make the viewer participate in their construction. This session, presented in collaboration with Media City Film Festival (Canada) and War is Over (Studio One), is organized around one of the central ideas of Ono's artistic and political work: Freedom, both artistic and vital, on which she reflects in many of her works, a freedom that turns her films into explorations of the creative possibilities of the cinematographic camera, and a freedom constrained by social conditions, moral norms, the economic context, and against which Ono, in many occasions led by her companion Lennon, collaborator also in several of the films of the program, rebelled and continues rebelling. Free camera, and liberating. Match (Yoko Ono, 1966). Digital file. 3’. Eyeblink (Yoko Ono, 1966). Digital file. 3’. Four (Yoko Ono, 1966). Digital file. 6’. 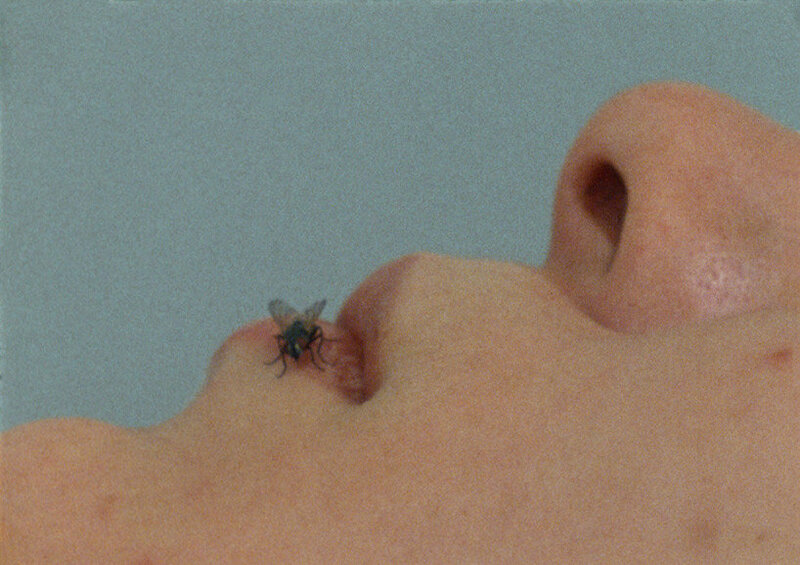 Fly (Yoko Ono, 1971). Digital file. 24’. Freedom (Yoko Ono, 1971). Digital file. 1’. Apotheosis (Yoko Ono, 1970). Digital file. 19’.